The kitchen is a focal point of any home. From design aesthetics to functionality, your kitchen requires the right balance of lighting. Having the proper mix of recessed lighting, island-highlighting pendants, and under cabinet lighting will ensure the space meets all of your kitchen’s functionality requirements. There are generally three types of lighting used in a kitchen: ambient, accent, and task. Ambient lighting serves as a main source of light from either natural light (windows) or ceiling fixtures (recessed, chandelier, or flushmount). Accent lighting accentuates favorite features in a kitchen. Finally, task lighting illuminates work surfaces so you can easily read recipes and safely prepare meals. Common kitchen task lighting is usually installed under cabinets in the form of strip lights or puck lights. Strip Lights: LED strip lights are used under the cabinet to fully illuminate counter spaces. They are versatile and great for illuminating work space, especially under low cabinets that receive little ambient lighting. The strips have LEDs already integrated inside and are typically easy to install. Puck Lights: Round and oval, puck lights are great mood lights and can be used to illuminate countertops in the form of a scallop, spot, or pool of light. They are round or oval and can contain either halogen, xenon, or LED bulbs. The overall cost for lighting installation is quite reasonable in comparison to the dramatic improvement it will have on your kitchen. The total cost will depend on several factors: the company you hire, the type of lighting you choose, the bulbs used, and the number of lighting fixtures. For quality residential electrical service in Baltimore County, Maryland, call Tim Kyle Electric. 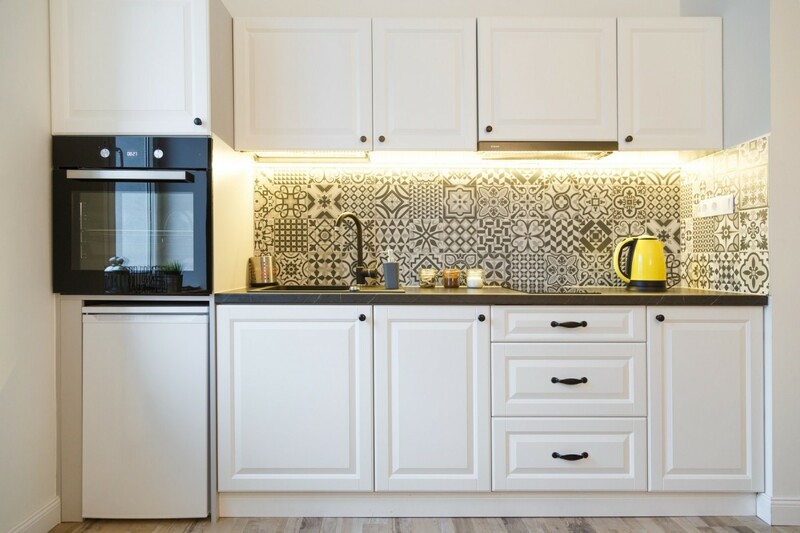 We can help you figure out the most appropriate lighting for all areas of your kitchen. So much happens in the kitchen—cooking, homework, socializing—so make sure your home’s focal point is well-lit!